If you’ve ever wanted to see David Tennant dressed as a nanny singing a lullaby to the Anti-Christ, then this new clip from Good Omens is especially for you. 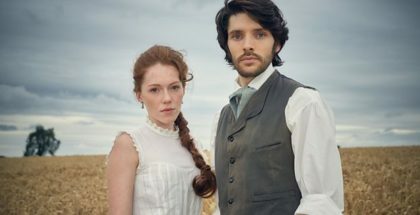 Amazon Prime Video’s series, based on the beloved book by Terry Pratchett and Neil Gaiman, sees the armies of Heaven and Hell amassing and The Four Horsemen are ready to ride. And so Aziraphale, an angel, and Crowley, a demon, agree to join forces to find the missing Anti-Christ and to stop the war that will end everything. David Tennant and Michael Sheen star as the duo on a quest to save the world, which they’ve become rather fond of, and this new video gives us yet another taste of their unlikely bromance – not to mention Jack Whitehall’s character, Witchfinder Newt Pulsifer, and Sam Taylor Buck’s Adam Young, said Anti-Christ. “Armageddon is days away… and we’ve lost the Antichrist.” That’s the sound of the end of the world coming in the first trailer for Amazon’s Good Omens. The series, based on the beloved book by Terry Pratchett and Neil Gaiman, sees the armies of Heaven and Hell amassing and The Four Horsemen are ready to ride. And so Aziraphale, an angel, and Crowley, a demon, agree to join forces to find the missing Anti-Christ and to stop the war that will end everything. David Tennant and Michael Sheen star as the duo on a quest to save the world, which they’ve become rather fond of. They lead a cast that includes Jon Hamm, Frances McDormand, Nick Offerman, Jack Whitehall, Miranda Richardson, Adria Arjona, Michael McKean, Anna Maxwell Martin and Mireille Enos, not to mention Brian Cox as Death and Benedict Cumberbatch as Satan. 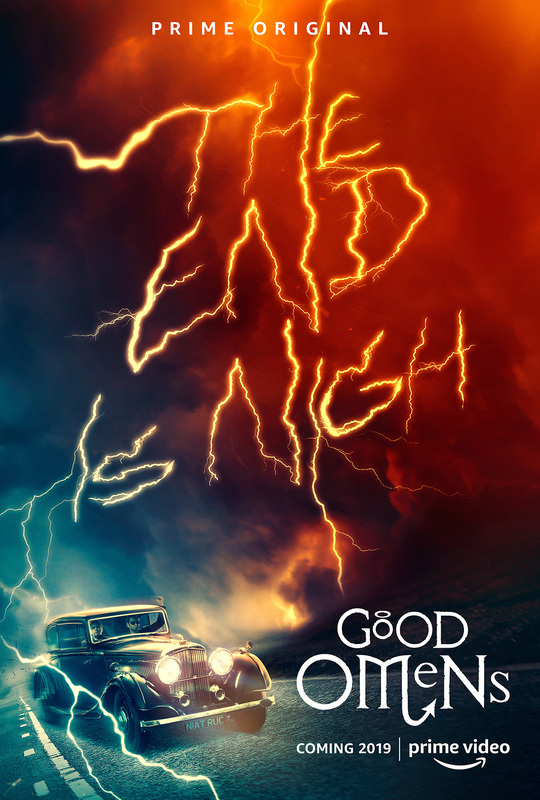 Good Omens finally has an official release date, with Amazon Prime Video unveiling the new series this May. The series, based on the beloved book by Terry Pratchett & Neil Gaiman, stars David Tennant, Michael Sheen, Jon Hamm, Frances McDormand, Nick Offerman, Jack Whitehall, Miranda Richardson, Adria Arjona, Michael McKean, Anna Maxwell Martin and Mireille Enos, and tells nothing less than the story of the apocalypse. Sort of. The End of the World is coming, which means a fussy Angel (Michael Sheen) and a loose-living Demon (David Tennant) who’ve become overly fond of life on Earth are forced to form an unlikely alliance to stop Armageddon. But they have lost the Antichrist, an 11-year-old boy unaware he’s meant to bring upon the end of days, forcing them to embark on an adventure to find him and save the world before it’s too late. Showrunner and executive producer Neil Gaiman (American Gods) and executive producer/director Douglas Mackinnon (Sherlock) appeared alongside Sheen and Tennant at the TCA press tour last night to confirm that, almost 30 years after first being published, Good Omens will finally hit out screens on 31st May. 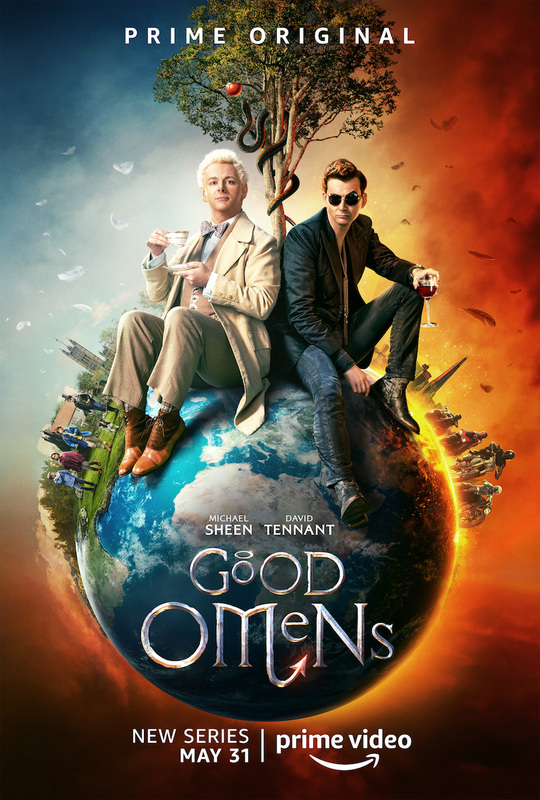 “We are not friends,” angel of the Lord Aziraphale (Michael Sheen) tells Crowley (David Tennant), a demon who is very much his friend in the first trailer for Good Omens. 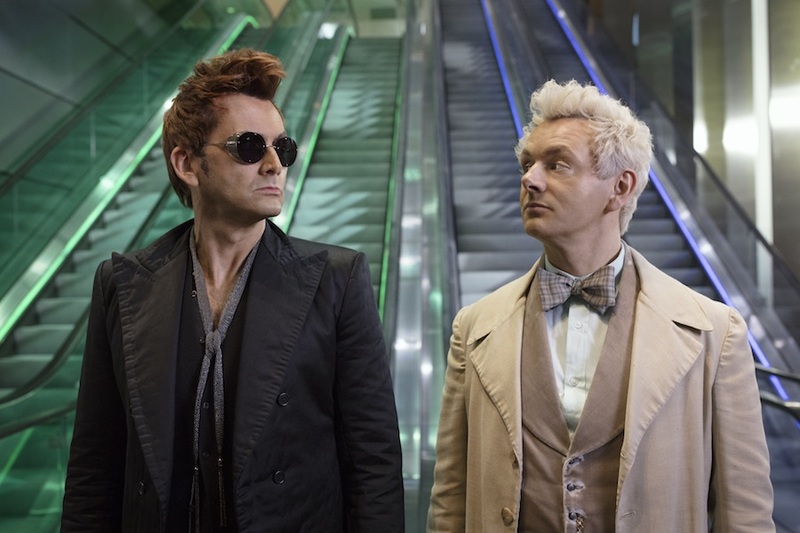 Their unlikely bromance sets the tone for Neil Gaiman’s Good Omens, a fantastical horror comedy that balances end-of-the-world calamity with a very British warmth. We, meanwhile, get our first glimpse of it coming to life in the trailer below. 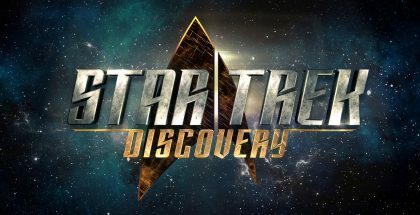 The full series will premiere on Amazon Prime Video in 2019, before airing on BBC Two. 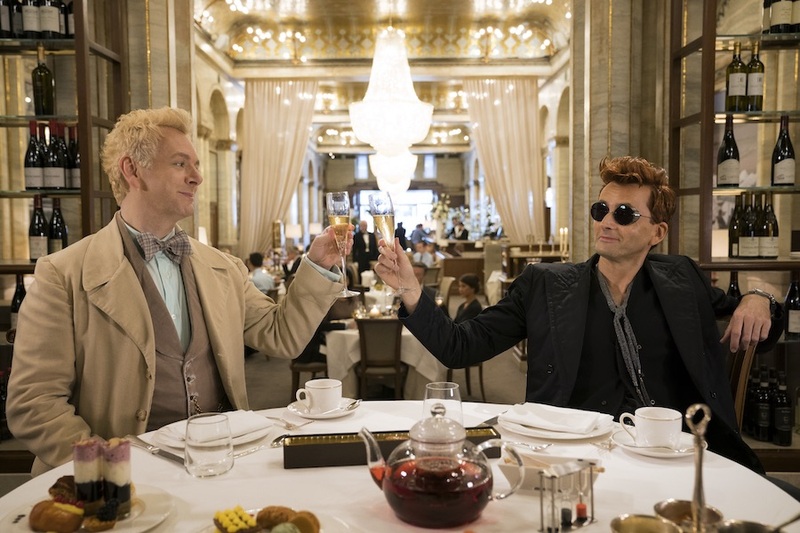 The end of the world is getting nearer, so thank goodness we have Good Omens on the horizon to look forward to – and, to whet the appetite, Amazon has unveiled the first images from the finished product, featuring Michael Sheen and David Tennant. The horror comedy fantasy, which was greenlit in January 2017, is written by Neil Gaiman (American Gods), and based on the well-loved and internationally bestselling novel of the same name by Terry Pratchett and Gaiman. 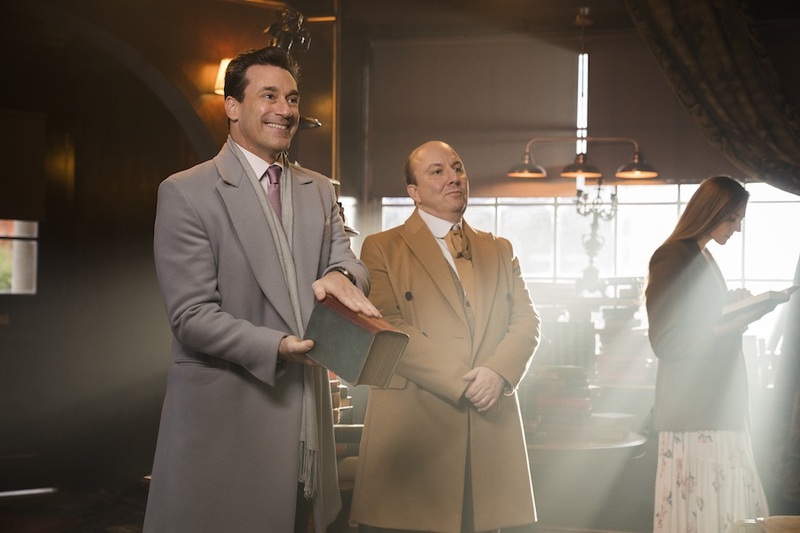 The pictures also give us a look at Jon Hamm as Archangel Gabriel, in a scene that sees him pretending to purchase a book so he might talk to Aziraphale in private. 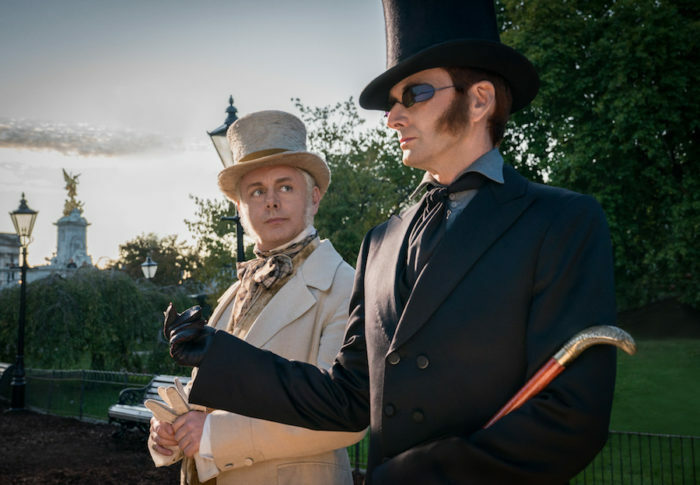 That clip, along with another featuring the start of Tennant and Sheen’s charming friendship, were presented at an Amazon Prime Video press event this week in London, where Neil Gaiman also announced that he had inked an overall deal with Amazon Studios. You can read more about that here – or read on for the pictures. Good Omens will premiere on Amazon Prime Video in 2019, before going on to air on BBC Two. “It’s unlike any TV show I’ve ever been involved in, I can’t wait to see it finished.” That’s David Tennant in the first video released for Amazon Studios’ adaptation of Good Omens. The best-selling novel by Terry Pratchett and Neil Gaiman tells the story of nothing less than the end of the world. The Apocalypse is near and Final Judgment is set to descend upon humanity. Everything appears to be going according to Divine Plan. Except that someone seems to have misplaced the Antichrist. Enter Aziraphale, a somewhat fussy angel, and Crowley, a fast-living demon, both of whom have lived amongst Earth’s mortals since The Beginning and have grown rather fond of the lifestyle, and are not actually looking forward to the coming war. A co-production between Amazon and BBC Two, the series is one of the most anticipated projects of recent years, thanks to an impressive line-up of stars in the cast, from Michael Sheen and David Tennant as Arizaphale and Crowley to Jon Hamm (Mad Men) as the Archangel Gabriel and Anna Maxwell Martin (Becoming Jane) as Beelzebub – not to mention Miranda Richardson (Sleepy Hollow) as Madame Tracy, Michael McKean (This is Spinal Tap) as Shadwell, Jack Whitehall (Bad Education) as Newt, Adria Arjona (True Detective) as Anathema Device, plus Mark Gatiss (Sherlock), Steve Pemberton (The League of Gentleman), Daniel Mays (Ashes to Ashes), Sian Brooke (Sherlock), Mireille Enos (World War Z), David Morrissey (The Walking Dead) and Nick Offerman (Parks and Recreation). Amazon unveiled the video for the series at its San Diego Comic-Con panel, with Gaiman in attendance to talk Good Omens. He also announced that addition of Frances McDormand to the cast as God (alongside Derek Jacobi as Metatron, the Voice of God), and that the series will premiere in 2019. 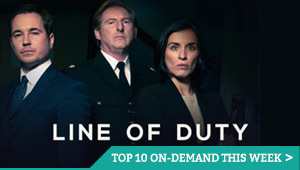 You can read more about the show’s cast here – or read on for the first video from the series, as well as the striking new poster.